All the below steps described below and screens are as per the Summer 17 Pre Release. 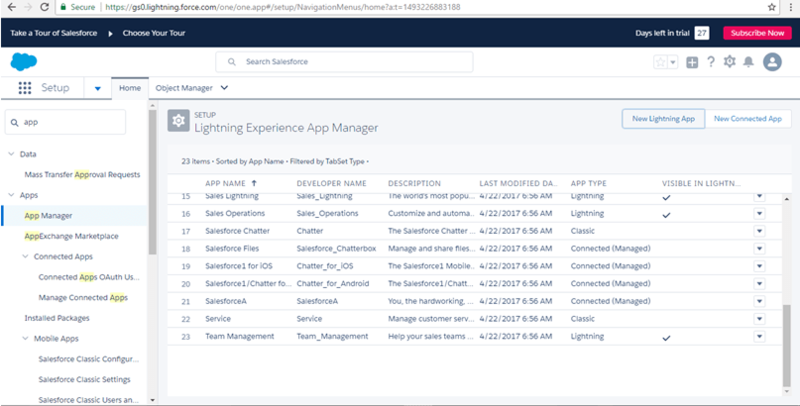 You can create custom console apps in Lightning Experience like you create any other Lightning Apps. 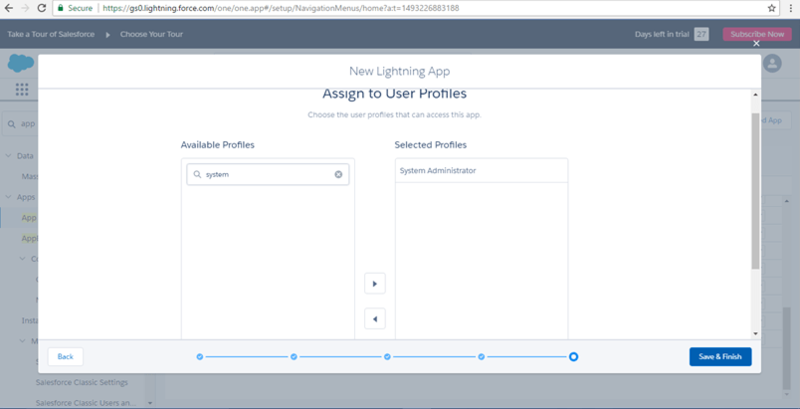 Using the New Lightning App Wizard you can branding your new app (logo, color etc), add utility bar, add tabs, assign to user profiles etc. 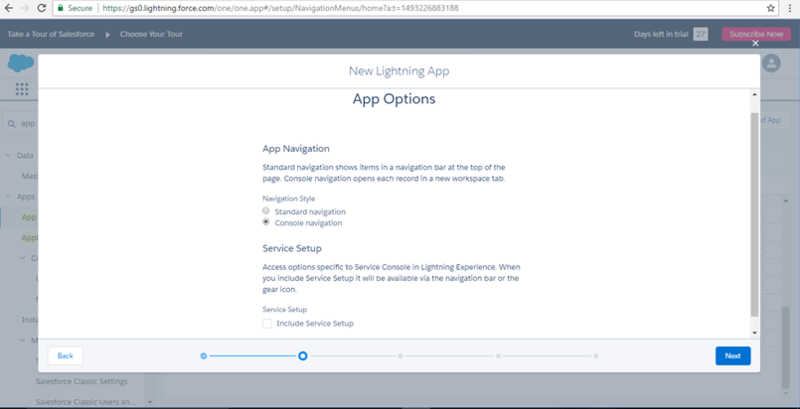 Step 1: Go to lightning experience and then from the top right corner click on the gear icon, then in the quick find box on top left side, type – “App Manager “. Once you click on the App Manager, it will display all the apps present. 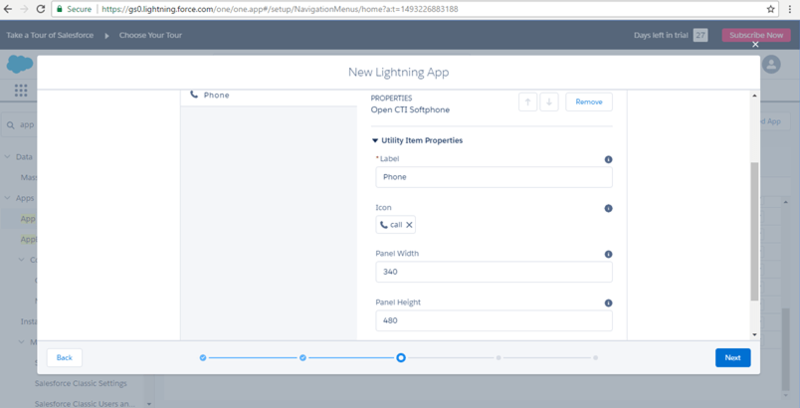 Now click on “New Lightning App” button to create the new Sales Lightning App. Step 2: Now provide App Name, Description, Image, and primary app color etc. and click next. 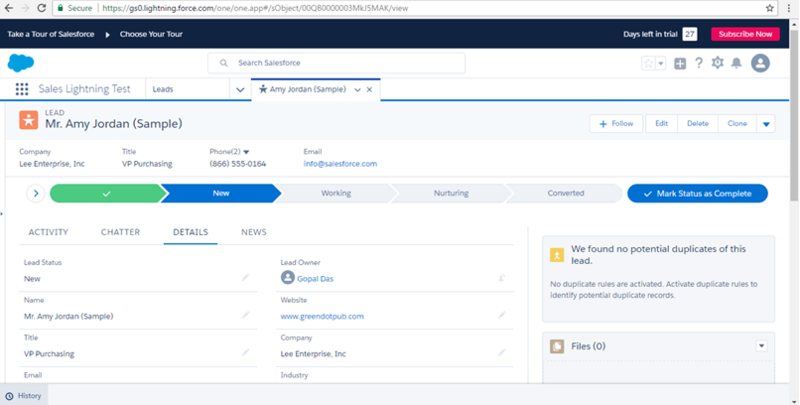 Step 3: Choose the App navigation style, Standard navigation – Horizontal menu bar, or Console navigation – Drop-down Menu bar. 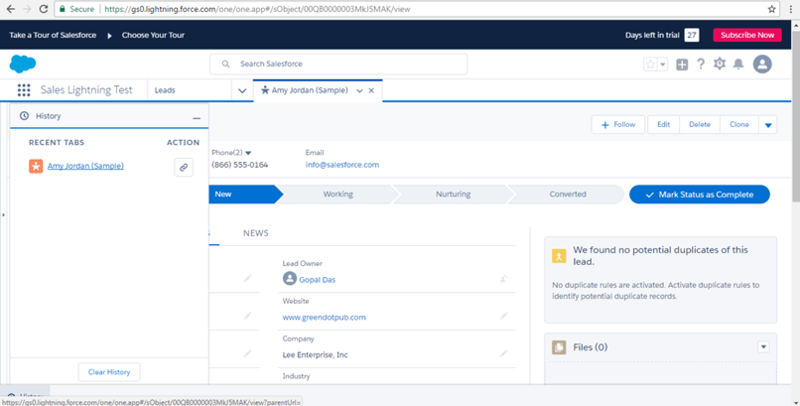 Service setup is not required as this example is for sales console. 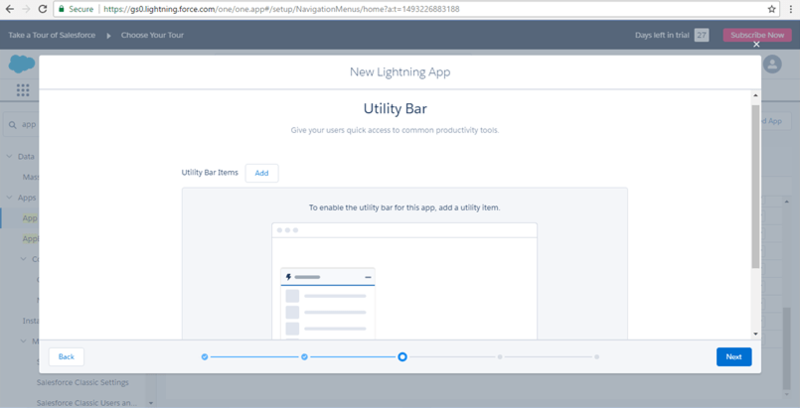 Step 4: Now you can add the utility bar if it is required for your App. 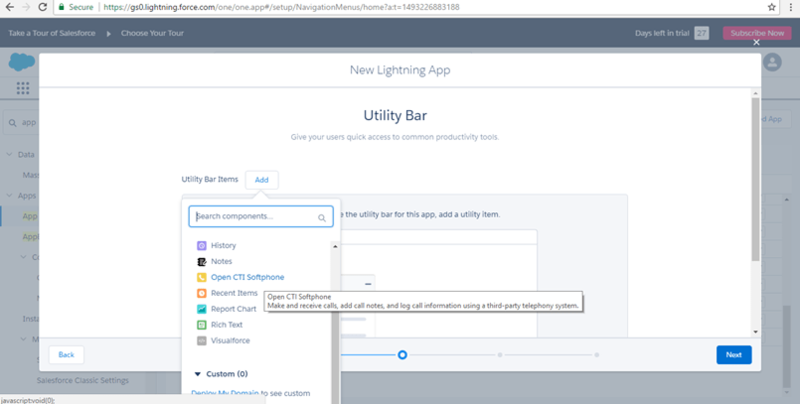 To add the utility bar, just click on the Add button and then select the different utility components. Utility bar is just like bottom bar in classic console App, where you can add Soft Phone, History, Knowledge etc. Added the Open CTI Softphone component in below example. Added the Open CTI Softphone History component in below example. Step 5: Now select different items like Tabs in classic App like Accounts, Contacts etc. 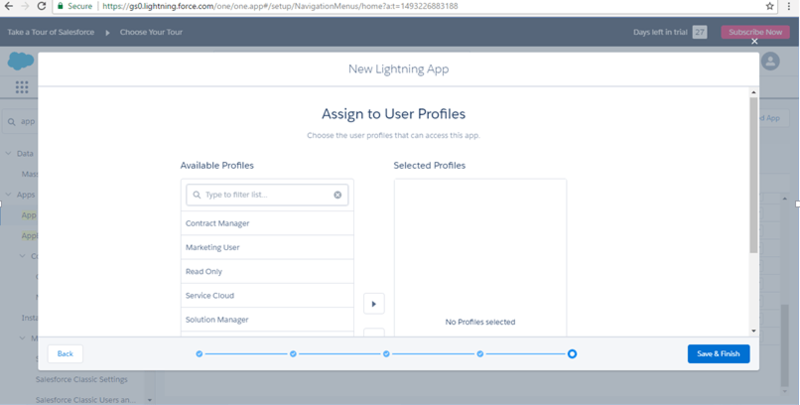 Step 6: In this step you need to assign the App to different user profiles, who will use this App. This is the last step after profile selection click on save and finish. We have selected here only System Administrator user profiles. 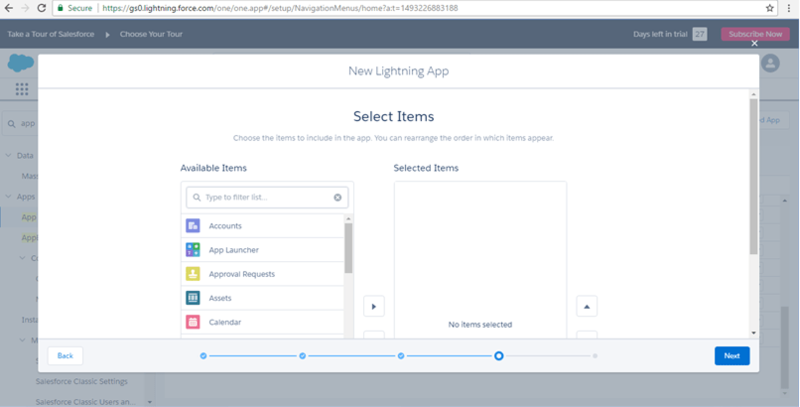 Now go to App Launcher to launch brand new sales console Lightning App. This is how it looks a Lead page in lightning console. 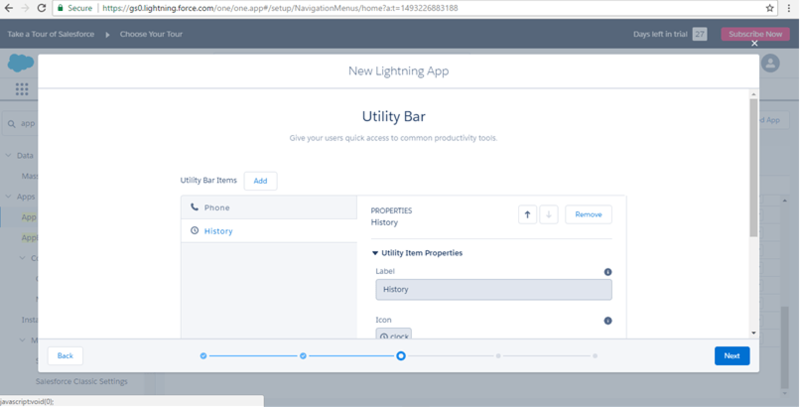 This is how utility bar looks in lightning console.